Sacramento has a long, hot, dry summer spanning six months of every year. The stop-and-go traffic of East Sacramento can produce unbearable heat and is extremely uncomfortable if your air conditioning isn't working quite right. But did you know that in the rainy months, air conditioning is just as important? Air conditioning draws the moisture out of your vehicle to help keep your windows clear when you are driving. And contrary to popular belief, Air Conditioning doesn't only work to produce cold air. So, no matter the time of year, isn't it important to ensure your air conditioning is operating at peak performance? Precision Automotive Service has been your repair facility for all makes and models in Sacramento since 1990, and air conditioning is no exception. With ASE-Certified technicians, our staff are capable to repair every air conditioning concern your vehicle may have. Whether it is a failing compressor, a sticking compressor clutch, a plugged receiver/drier, or a leak somewhere in the system, our expert technicians will repair your vehicle affordably and quickly. 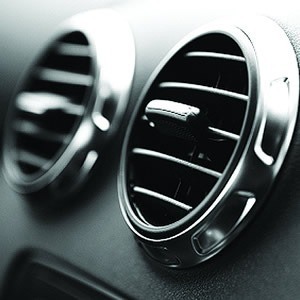 Honest, friendly, and affordable air conditioning repairs are available at Precision Automotive Service in Sacramento. Book an online appointment or call us today!